Pedro Pizarro recently spoke to SoCal business and community leaders at Town Hall LA. Climate change is real, and we are feeling its effects in California in the form of record-breaking wildfires, which highlights the urgency of reducing greenhouse gas emissions by converting the economy to clean energy. 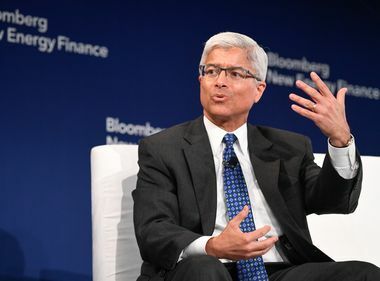 As firefighters continued to battle blazes across California, Edison International President and CEO Pedro J. Pizarro spoke to Southern California business and community leaders at Town Hall Los Angeles. “The importance of today’s topic cannot be overstated: That’s climate change, its impacts, and the existential challenge we face around the world, especially here in California — and what we can do together to make a difference,” he said. Pizarro noted that, as of the day he was speaking, Aug. 24, more than 100 large fires were burning in the Western states, and more than 6 million acres have burned nationwide this year, an area larger than New Hampshire. The Mendocino Complex Fire in Northern California is the largest in the state’s history at more than 400,000 acres. California fires so far this year have collectively damaged or destroyed more than 2,000 structures and consumed more than 850,000 acres. Last year’s wildfires in California released as much carbon dioxide into the atmosphere as the entire electric power sector. “That’s a huge setback to our state’s carbon reduction goals. It makes it even more crucial that we move forward, and quickly, to convert our economy to clean energy,” said Pizarro. 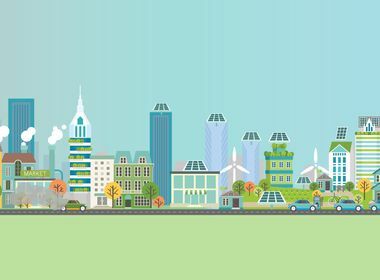 As an example of this effort, Pizarro explained SCE’s Clean Power and Electrification Pathway to 2030, a pathway designed to help California reach its ambitious goal to reduce greenhouse gas emissions by 40 percent from 1990 levels by 2030. In the most extreme cases of severe winds or other high fire risk conditions, shutting off power — known as Public Safety Power Shutoffs — to prevent power lines from becoming an ignition source for wildfires. He explained that under existing California rules — unlike in just about every other state — when high winds knock trees into power lines or down poles, sparking wildfires, the financial responsibility for the fires is focused almost exclusively on the utilities. 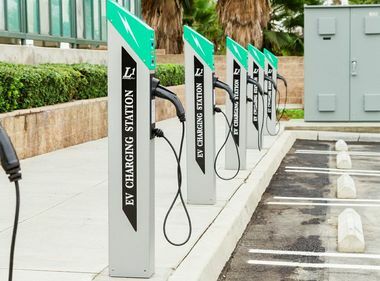 Pizarro noted that financially healthy electric utilities are essential to California, the world’s fifth-largest economy — providing reliable power to tens of millions of people and businesses and employing tens of thousands of people. “Creating a new approach to sharing wildfire risk is going to require input from many parties — builders, insurers, regulators, lawmakers, utilities, firefighters and more. We need the state to be the glue that brings these resources together,” he said.